We've brought in producer Bradley Gallo, who's the CCO of Amasia Entertainment. Helmed by the former president of Marvel Studios, Michael Helfant, Amasia has emerged as one of the top production companies in the industry today. Bradley's recent film, Them That Follow, which he produced with Gerard Butler, is an official selection at the 2019 Sundance Film Festival. In addition, he's worked on successful films such as Mr. Right (starring Anna Kendrick & Sam Rockwell) and The Call (starring Halle Berry). 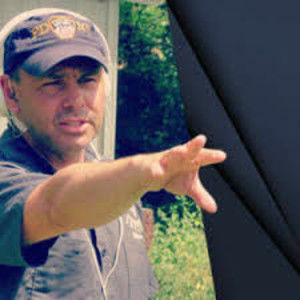 Over the last decade in the industry Bradley has mastered best practices to get a key director and cast attached to your film and he's going to be sharing his tips exclusively with the Stage 32 community! Understanding the reality of getting an “A-List” director. What it actually takes. What are fair and competitive director’s offers? 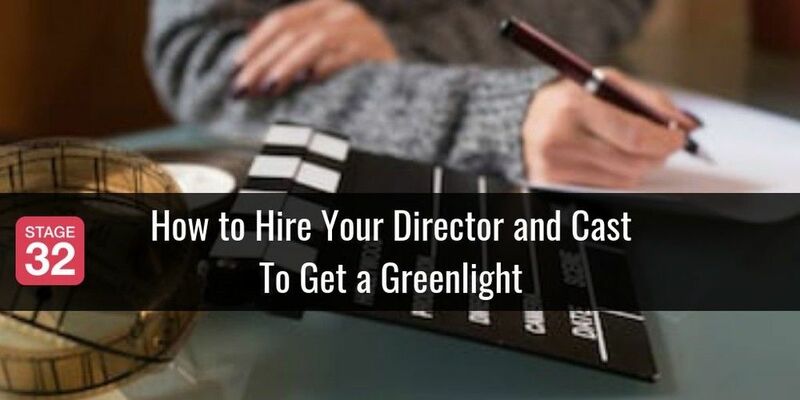 Should you hire the director or the cast first? How should genre play into your casting decisions? What are intangibles to look out when casting? The #1 best resource you need when casting, which is often overlooked, and how much it will cost you. What are fair and competitive actor's offers? Bradley Gallo is the Chief Creative Officer for Amasia Entertainment. 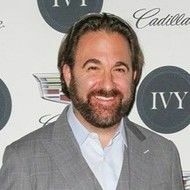 Helmed by the former president and COO of Marvel Studios, Michael Helfant, Amasia has emerged as one of the top production companies in the industry today. Bradley and Gerard Butler are the producers behind the 2019 Official Sundance Selection Them That Follow, as well as films like The Call (Halle Berry, Abigail Breslin), and Mr. Right (Anna Kendrick, Sam Rockwell). Amasia Entertainment is a production, finance and management company based in Los Angeles. They're behind films like Careful What You Wish For, Fear, Inc., The Road Within, The Call, and Mr. Right. Amasia is currently in pre-production on FATE, written by Gary Whitta (Rogue One: A Star Wars Story, The Book of Eli). Recently, Amasia opened up a bidding war for My Favorite Things is Monsters, with SONY picking up the project, which is now in development (see it on Deadline) and announced a new Television division led by industry veteran Tracy Mercer, formerly with Morgan Freeman's Revelations Entertainment (See it on Deadline here). Amasia is in post-production on Them That Follow (see it on Deadline here), and just acquired the rights to the sci-fi feature World Breaker and the pilot Doppel (see more here). Q: What is the format of a webinar? A: Stage 32 Next Level Webinars are typically 90-minute broadcasts that take place online using a designated software program from Stage 32. Q: Do I have to be located in a specific location? A: No, you can participate from the comfort of your own home using your personal computer! If you attend a live online webinar, you will be able to communicate directly with your instructor during the webinar. A: You will need to meet the following system requirements in order to run the webinar software: Windows 7 or later Mac OS X 10.9 (Mavericks) or later. Q: What if I cannot attend the live webinar? A: If you attend a live online webinar, you will be able to communicate directly with your instructor during the webinar. If you cannot attend a live webinar and purchase an On-Demand webinar, you will have access to the entire recorded broadcast, including the Q&A. Q: Will I have access to the webinar afterward to rewatch? A: Yes! After the purchase of a live or On-Demand webinar, you will have on-demand access to the audio recording, which you can view as many times as you'd like for a whole year! 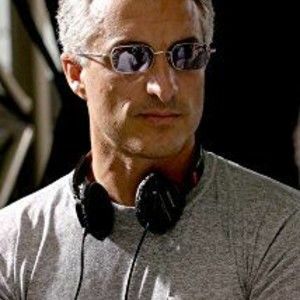 Learn directly from Adam Matalon, award winning executive producer, show runner, director and creator who's worked on over 20 projects on cable and network television. The unscripted and reality genres are becoming more and more fragmented and producers are forced into more and more niche areas of expertise. This is creating a vacuum in which producers wanting to step into showrunner roles are unable to do so because they lack the overview expertise. In this Next Level Webinar, Adam Matalon challenges that notion and investigates the role of the showrunner in today's current climate of television. As more and more networks and production companies are struggling with staffing their leader, there are fewer and fewer opportunities. We will discuss the reasons for this and how storytellers, producers, writers, and directors can best prepare themselves for leadership roles in the fast evolving television and digital space. Adam will break down the process of taking a project from presentation, through production and on to delivery to the network; something that is vital for all aspiring showrunners both in the reality and unscripted space as well as a scripted space. Adam will also touch on the best ways for building an environment that will make you more employable, how ‘storytelling’ is utilized in a reality show and the various documents needed to accomplish the task of getting the 'greenlight.' This webinar includes a packet of supplemental materials such as templates and example production documents! As we always say at Stage 32, perfecting your craft is only half of your job - the other half is networking! So, how do you meet the right people to move the needle on your career when you don't know anyone? 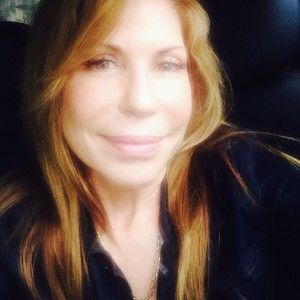 We've brought in industry veteran Jessica Sitomer, who has over 20 years in the industry as a development executive, producer of 3 TV shows, writer and career coach for the Cinematographers Guild. Through the years she has perfected the art of networking - helping creatives grow their networks from one to two people to hundreds. When she moved to Los Angeles, she knew two people and one of them moved the day after she got to LA. She made it her mission to learn how to survive and thrive in the creative industry. In this Stage 32 Next Level Webinar Jessica will go over the eight concrete strategies for breaking in when you don't know anyone and will offer plenty of tips for successful networking. There are exercises and actionable information you can use to help you start connecting and thriving! If you're a filmmaker, producer or any creative head looking to incorporate music into your film & television, advertising or media project, you'll need to understand the basics steps of how to secure the music rights for the music you desire to use. From well known hit songs from major recording artists, to indie bands to public domain to original compositions and cover songs of music hits, you will need to be armed with all the knowledge of clearing the rights to that music for your film or project in order for it to play at festivals, screen theatrically, stream on the internet or be released on DVD/VOD. The memorable song placeholder you are in love with and want to use in your opening credits that you found online - is that song even able to be used and licensed within your budget if you screen your film theatrically? What type of rights will you need to exploit your project globally? Or, what about that jukebox song your editor tempted into the background during one of your bar scenes - is that okay to use? And for how much will the licensing fee be for the rights you need? Knowing all these details and nuances will inform you as to why you must prepare in well in advance and allow time for the music clearances, along with knowing the type of rights your project requires for the music needed. Stage 32 Next Level Education is excited to present Anna Grannucci, a Los Angeles-based film producer and music supervisor and Yale School of Drama graduate, with more than a decade of experience working on films such as WHIPLASH and STICKY NOTES for the jam-packed 90-minute Webinar Learn the Ropes of Film Music Clearances. You will learn a variety of valuable information starting with the types of other source music available for film, television, advertising, video games and every other digital media source, which also includes public domain music, royalty free, original composition, and score. You will learn how to gauge what songs are licensable or not for use in your film or project. Once you've chosen your music, you will learn music rights, the clearance process, the difference between festival, theatrical, DVD/VOD and advertising clearances and more! You will walk away from this Webinar with a clearer understanding of your music planning and the understanding of the music clearance process you need in order to make your film's music soundtrack a success! And, who better to educate you than the Music Supervisor for both the WHIPLASH short and feature film who controls the music library associated with the film - we bring you only the best instructors at Stage 32! Bonus! Get 2 contract templates: Option Agreement Template & Producer Attachment Agreement "Conrad you were so very informative, had absolutely great advice, information a person would need to understand when going to a meeting for negotiations with executives. You covered most everything I wanted to ask. Thank you stage 32, this was the best webinar I have taken." - Diane K. "Great summation of the ins and outs of right options. Thank you for the contract templates." - Karla T. Ideas for movies, TV shows, web series etc. can come from anywhere. Often times it’s an original idea that comes from within your own creative mind, but as you know, a lot of the best stories can be based on other source material like books, real people’s lives, big brands, or any other already existing property. In all of the latter scenarios, you can’t legally create your vision without controlling the rights to the source material. This often discourages people from pursuing these rights because it involves contracts, dealing with rights holders and costs money. 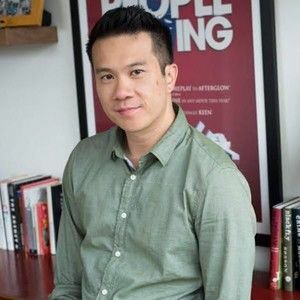 In this Stage 32 Next Level Webinar, Conrad Sun will change your perspective not only on how to acquire the rights to material, but how to develop great story ideas. He will explore creative ways on how to find and control the rights to stories that you’re passionate about without having to pay for them. Whether you’re a writer looking to adapt a screenplay, or a producer looking to set up a property with a financier, this webinar will provide useful information how to effectively control the rights to your passion project and hopefully lead to its creation. Conrad Sun is currently working as a TV Lit Manager and Development Executive at Meridian Artists in Los Angeles and represents TV writers in both the comedy and drama space. Conrad has also worked in content development with companies like Epix, Hasbro Studios, Gran Via Productions (Breaking Bad), New Wave Entertainment and Motion Theory Films. Conrad is also the founder of the popular website FilmEscape, an online resource and encyclopedia for learning anything relating to the film and television industry. Learn directly from Stephanie Weier (CEO) and Lori Dalton (President) from The Domain Group, the industry leader in clearances, script breakdown reports and research. With over 80 years of combined experience, the company has over 1,000 credits including Crazy, Stupid, Love (Emma Stone, Ryan Gosling, Steve Carell), Blue Valentine (Ryan gosling, Michelle Williams) Edge of Darkness (Mel Gibson) Gimmie Shelter (Vanessa hudgens) and Ray (Jamie Foxx, Kerry Washington) to name a few! Every year thousands of filmmakers submit to festivals with the hope of getting their films distributed, only to learn they haven’t taken the proper steps to deliver a cleared film and the distributor is now no longer interested. It is extremely important to make sure your production is managing its clearances and that a script breakdown report has been completed. These steps are necessary in order to deliver a cleared film to a potential distributor – otherwise your project will stop dead in its tracks. Teaching this exclusive Stage 32 Next Level Webinar is the industry leader in clearances, script breakdown reports and research – Stephanie Weier. 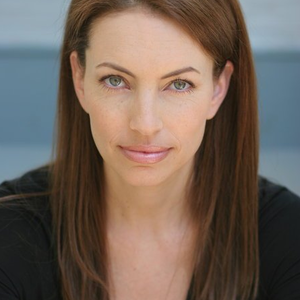 Stephanie has over 20 years of experience catering to studios and indie films and has worked across film, TV, gaming, digital and commercials. She currently is the CEO of The Domain Group, a company with over 1,000 credits and 80 years of combined experience. 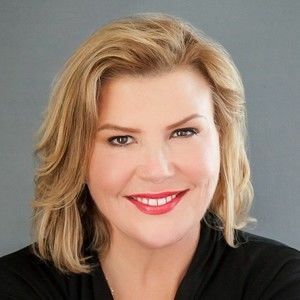 Joining her in this webinar will be Lori Dalton, President of The Domain Group, who will add her own experiences with first-hand stories of issues every content creator will likely face in their career.